Dr. Jennifer Judd, jennifer.judd@eastcentral.edu, holds a Doctor of Musical Arts degree from the University of Missouri-Kansas City Conservatory of Music, where she studied with Curators Professor Joanne Baker. Dr. Judd is an accomplished solo recitalist and chamber musician. She is also in frequent demand as a clinician and adjudicator across the country. She has appeared as soloist with St Louis Wind Symphony, St. Louis Brass Band, Jefferson City Symphony Orchestra, Southeast Symphony Orchestra, Clayton Symphony Orchestra, University City Missouri Symphony Orchestra, University of Missouri-Kansas City Orchestra, and ECC Wind Ensemble. In 1997, Dr. Judd and Annette Burkhart, a piano faculty member from Washington University, formed a piano duo team and have performed in various concert series and university campuses throughout the Midwest. For nearly a decade, Dr. Judd has been regularly featured in the Christ Church Cathedral Concert Series in St. Louis, MO and the “Sunday At Three” Chamber Music Concert Series in Southeast Missouri State University. Dr. Judd has performed concerts in Spain, Italy, China, Taiwan, China, Philippines and Sweden. Dr. Judd was awarded the Permanent Professional Certificate by the Music Teachers National Association. Many of her piano students have won top awards in state and national competitions. Several of her articles were published in the Keyboard Companion. Dr. Judd is a Professor of Music at East Central College. In 2012, Dr. Judd received the Governor’s Excellence in Teaching Award. In 2013, Dr. Judd received the Emerson’s Excellence in Teaching Award. Aaron Bounds, aaron.bounds@eastcentral.edu, is a native of Hermann, Missouri, and is the Director at East Central College. He has taught World Music, Introduction to Music Theory, Music Appreciation, Low Brass private lessons, Jazz Combo, Jazz Band and Concert Band. In 2006, Aaron received his Bachelor’s Degree in Music Education and in 2008 he received his Masters in Music, both from Missouri State University in Springfield. Throughout his studies at Missouri State, Aaron performed with many ensembles including MSU Jazz Band under the direction of Jerry Hoover, MSU Lab Band directed by Randall Hamm, MSU Wind Ensemble under Dr. Belva Prather, and the MSU Orchestra with Dr. Robert Quebbeman. During this time, Aaron also performed with the Madison Scouts Drum and Bugle Corps for two summers (2003, 2004). Currently Aaron performs with the local swing band “The Starlighters,” as a substitute for the Gateway City Big Band, and also with the St. Louis Philharmonic. The ECC Band program has seen growth in the last five years, and Aaron hopes to continue this development as the ensembles progress with literature. Dr. Timothy C. Sexton, timothy.sexton@eastcentral.edu, is the director of choirs at East Central College, where he also teaches Music Theory, Ear Training, Music Appreciation. He is Artistic Director for the East Central Children’s Chorale and conducts the College Choir, Jazz Vocal Ensemble, and Choral Association. 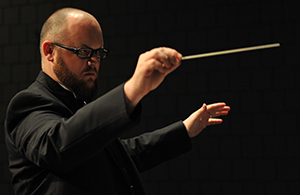 Tim graduated in 2009 with his Doctorate of Musical Arts in Conducting from the University of South Carolina under the direction of Dr. Larry Wyatt. He also holds a Bachelor’s and Master’s in Music Education from Western Kentucky University. Tim has taught at both the middle school and high levels. Choirs under his direction have performed in Austria, Germany, France, and several cities across the United States. 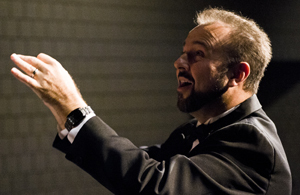 Currently, he serves as the 2-year College Repertoire and Standards Chair for the Missouri Chapter of the American Choral Director’s Association. Tim is also the Minister of Music at Zion United Church of Christ in Union where he directs the Chancel Choir, Adult Handbells, and Youth Handbells. Dr. Kelly Austermann has significant experience as a performing musician, music educator, and scholar. She has performed with the St. Louis Philharmonic Orchestra, the Hot Springs Festival Orchestra, the Gateway Festival Orchestra, the Greensboro Philharmonia, the Fountain Hills Chamber Players, Casella Sinfonietta, El Monstero, and the Vintage Brass Band. She can be heard in solo clarinet passages on the Grammy-nominated CD, Fireworks! released under the Equilibrium label and on In This Hid Clearing released under the Naxos label. Kelly has extensive teaching experience with students of all age and ability levels. She teaches clarinet, saxophone, and music appreciation at East Central College and St. Louis Community College. She teaches private clarinet lessons, coaches chamber music, and provides sectional instruction at Mehlville High School, Parkway West High School, Fox High School, Margaret Buerkle Middle School, and Washington Middle School. 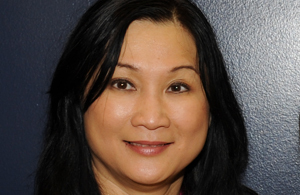 Many of her students have received superior ratings at performance competitions and have earned seats in honors ensembles. She received her Bachelors of Music from the University of Missouri-Columbia, her Masters of Music from the University of North Carolina-Greensboro, and completed her Doctor of Musical Arts from Arizona State University. Her former teachers include Robert Spring, Joshua Gardner, Eric Mandat, Diana Haskell, Anthony Taylor, and Paul Garritson. Dr. Lisa Blackmore, lisa.blackmore@eastcentral.edu, teaches Trumpet and Horn at ECC, along with Music History and World Music. She is Adjunct Professor of Trumpet at the University of Missouri-St. Louis, and she is a member of “Cadre” at Missouri Baptist University, teaching trumpet and assisting with the concert band. She earned a Doctorate of Musical Arts (DMA) in Trumpet with a minor in Music History at the University of Illinois-Urbana/ Champaign where she received the Graduate College Dissertation Award in Musicology. Dr. Blackmore also holds degrees from the University of Missouri-Columbia and SUNY-Stony Brook. Her trumpet ensemble at UMSL has been selected to perform at the 2015 ITG conference in Columbus, Ohio. Her private studio teaching has resulted in students performing in the St. Louis Youth Symphony and various Missouri All-State ensembles. Lisa performs with the Confluence Brass Trio, Clarion Herald Trumpets, and she was a bugler with the Missouri Military Funeral Honors Program from 2008-2013, performing Taps at over 350 military services for Missouri Veterans. She performs with the Compton Heights Concert Band, and she is principal trumpet in the St. Louis Wind Symphony. She serves as a trumpet adjudicator for the Missouri All-State groups. Recent solo performances include The Green Hornet with the ECC Jazz Band, Birthday of a King with the Ambassadors of Harmony at Powell Hall, and Concerto No. 1 for Piano, String Orchestra, and Trumpet, Op. 35 with Alla Voskoboynikova, piano and the UMSL Orchestra. She has performed as cornet soloist with The Old Pueblo Brass Band in Tucson, AZ and she played herald trumpet at Wrigley Field in Chicago for statue dedications of Billy Williams and Ron Santo (secretly wearing Cardinal Red!). Lisa is the editor for the Master Class Column of the ITG Youth Web Site (www.trumpetguild.org/itgyouth/masterclass.htm). This website provides useful information for young trumpeters, band directors, and amateurs. Her interview with a former teacher and reviews from the International Women’s Brass Conference and International Trumpet Guild Conferences were published in ITG Journals. Lisa lives in Wright City, MO with her husband, Mark (also a trumpeter) and their two cats, Chet and Ella. In her spare time, she makes practice mutes and also enjoys reading and traveling. Dr. Leon Burke, leonburke@aol.com, teaches Applied Voice at ECC. He earned a MM and DMA in conducting from the University of Kansas. He also has been a Fulbright Fellow in Paraguay and has served as Conductor/Music Director of the Lawrence Chamber Players, the Hutchinson Symphony, and the McPherson Symphony. He has also been on the faculties of Baker University, Sterling College, Hutchinson Community College, and Webster University. Currently he is the Conductor of the University City Symphony Orchestra and Assistant Conductor of the St. Louis Symphony Chorus. He is the Choir Director at Eliot Chapel in Kirkwood. Outside of St. Louis he is the Conductor for the Metropolitan Ballet of Topeka and conducts the Metro East Junior Orchestra in Belleville. William Hopkins hopkinswl@sbcglobal.net teaches Applied Guitar. He graduated from Saint Louis University in 2003 with a Bachelor’s degree, and went on to study at the prestigious Conservatory of Music, University of Missouri-Kansas City, where he received his Master of Music degree in Guitar Performance (2005) under the study of Douglas Niedt. Mr. Hopkins has performed with chamber ensembles, musical theatre groups, small orchestras, and as a soloist. He is an outstanding music educator with over nine years of private teaching experience. Having studied with world famous soloists, he possesses first-hand knowledge of a wide variety of teaching and performing styles. Tamara Miller-Campbell tjcampbe@adjunct.eastcentral.edu, soprano, holds a Bachelor of Music degree from Michigan State University and a Master of Music degree from Southern Illinois University at Edwardsville, with further graduate study at the University of Michigan and the Conservatorium of Music, Sydney, Australia. Performance credits include Handel’s “Messiah” and Bach’s Cantata #202 with the St Louis Symphony, the Faure “Requiem” and Poulenc “Gloria” with the Belleville Philharmonic. She has appeared with Union Avenue Opera Theatre as an ensemble member in “Carmen”, “La Traviata”, “Faust”, “Falstaff” and “Suor Angelica”. She appeared most recently with Early Music St Louis and at Washington University in a performance of Schoenberg’s Second String Quartet. She was honored to appear as guest soloist on the Odyssey Concert Series in Columbia MO in a performance of Schoenberg’s landmark piece “Pierrot Lunaire”. She returned in 2009 to her alma mater SIU Edwardsville as soprano soloist in the Rossini “Stabat Mater” as well as taking part in the premier of James Stephenson’s “Remembering Our Fathers” at SIU Carbondale. She is a section leader with the St Louis Symphony Chorus and serves on the faculty of Washington University as an adjunct instructor of applied voice. Dr. Patrick Charles Currently Dr. Charles is in his 15th year as a band director and 12th year in the St. Louis Public Schools, where he currently teaches at Long International Middle School. As a percussion educator, Dr. Charles has taught and arranged for various high schools in and out of the state of Missouri. In addition to his high school teaching experience, Dr. Charles was the arranger and instructor for the 2006 Gateway Percussion front ensemble and instructor for the 2005 front ensemble. In 2004 Dr. Charles was the front ensemble instructor for Seattle Cascades and in 2006 became both instructor and arranger. Dr. Charles began performing with Pioneer Drum and Bugle Corps in 1998 and in 1999 moved to the Blue Knights Drum Bugle Corps. In 2000 and 2001 Dr. Charles was a member of the Glassmen Drum and Bugle Corps. Dr. Charles received his B.S. from Southwest Missouri State University (Missouri State University), his MME from University of Missouri St. Louis, and his Doctor of Education from Maryville University. William Hopkins, hopkinswl@sbcglobal.net, teaches Applied Guitar. He graduated from Saint Louis University in 2003 with a Bachelor’s degree, and went on to study at the prestigious Conservatory of Music, University of Missouri-Kansas City, where he received his Master of Music degree in Guitar Performance (2005) under the study of Douglas Niedt. Mr. Hopkins has performed with chamber ensembles, musical theatre groups, small orchestras, and as a soloist. He is an outstanding music educator with over nine years of private teaching experience. Having studied with world famous soloists, he possesses first-hand knowledge of a wide variety of teaching and performing styles. Lansin Kimler studied at Southern Illinois University, Edwardsville, earning Bachelor’s and Master’s degrees in music, following study with Ruth Slenczynska & Linda Perry. She has worked with the Suzuki String Program at SIUE and the Community Music School at Webster University, and now teaches and accompanies at East Central College, Union, and the University of Missouri – St. Louis. She also serves as accompanist for the Saint Louis Chamber Chorus, Third Baptist Church (Grand Center), and the Parkway School District. She has given numerous solo recitals, and in the past has played and recorded with the St. Louis Ocarina Trio. Among her notable affiliations is the Ladies’ Friday Musical Club, one of St. Louis’s most storied institutions. Dr. Sarah Johnson graduated from Louisiana State University in December, 2013, with a Doctorate in Musical Arts in piano performance and collaborative piano. During her time there she studied with Dr. Willis Delony, the Virginia Martin Howard Professor of Keyboard Studies and Professor of Jazz Studies at Louisiana State University, and a renowned classical and jazz recitalist. As a student, she was a graduate teaching assistant for group piano and secondary piano lessons. In November 2011 she won the LSU concerto competition and soloed with the LSU symphony the following spring. Her doctoral dissertation examined the life and music of Dana Suesse, a Tin Pan Alley classical/jazz composer and a contemporary of George Gershwin. After graduation she served as a guest lecturer at Southeastern University and an adjunct professor at Southern University. In addition, she maintains a large private studio. Maggie Noud, noudm@eagles.k12.mo.us, teaches Applied Flute. She holds a Master of Science in Education from Lindenwood University. She received her undergraduate degree from Southeast Missouri State University where she studied with Paul Thompson. While at Southeast, she was the principal flutist for the University Wind Ensemble being featured twice as a concerto soloist. In addition to the Wind Ensemble, she was principal flutist for the University Orchestra. She has been teaching privately for over 15 years and in public schools for 7 years.